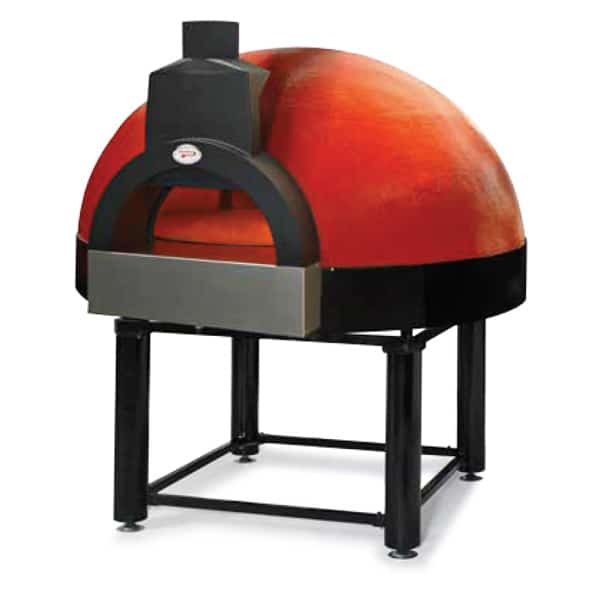 world famous Pavesi Forni Modena. 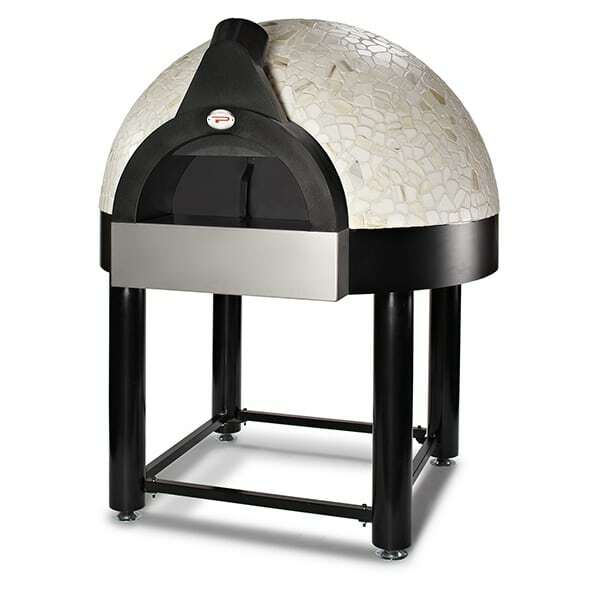 We offer full range of Pavesi ovens. 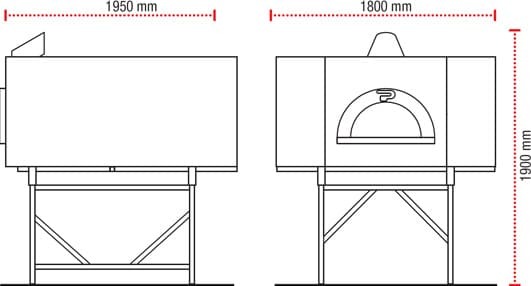 We can supply ovens pre‐assembled or in part form and assemble it inside your premises. 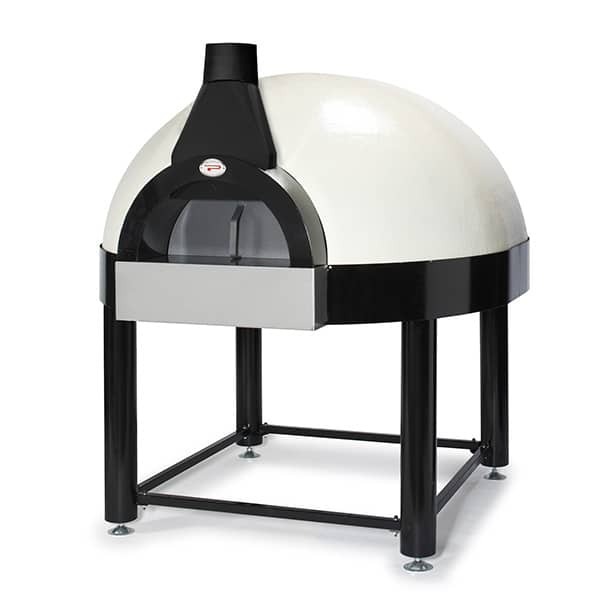 All Pavesi Ovens are made in Modena – Italy, by hand, with care, using traditional methods and the highest quality refractory materials and best performing insulators. 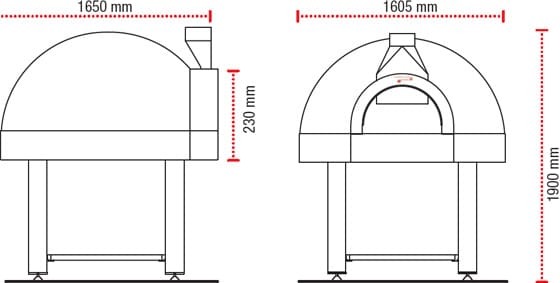 The core of Pavesi ovens, produced with a formula for refractory cement that withstand operating temperatures exceeding 1200°C, in a context of daily work that requires an average of 300 — 400°C, turns out to be extremely durable. 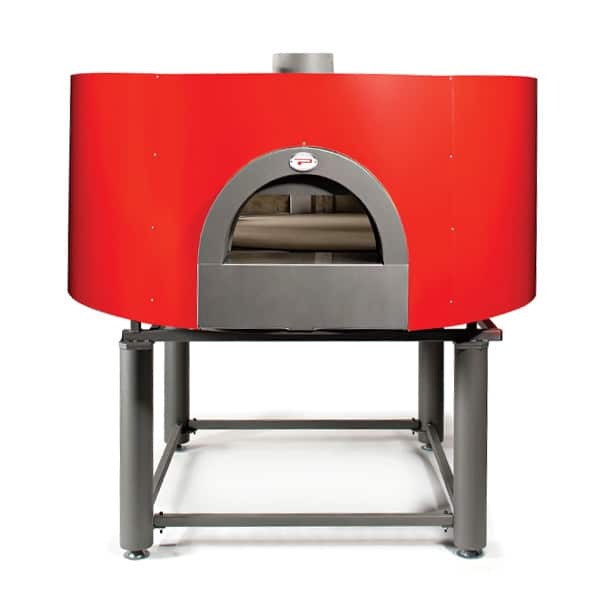 All Pavesi Ovens are CE and UL conform. 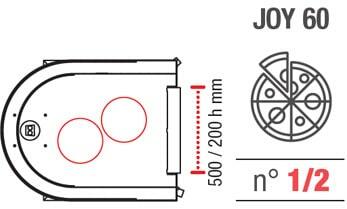 Once you purchase the oven, on request we can provide you with the Declaration of Conformity. 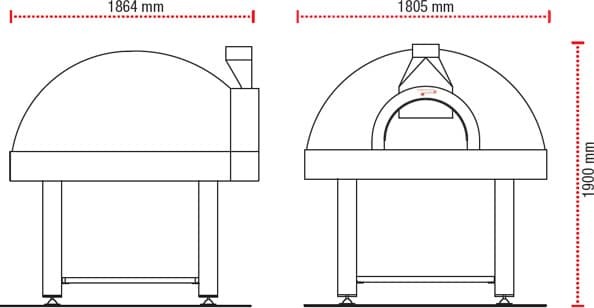 All Pavesi Ovens are covered by 10 year guarantee: we are pleased to ensure the suitability of all the materials used in the construction of our ovens, and the entire structure in refractory concrete, from breakage due to manufacturing defects and incorrect assembly, when made by our specialized staff. 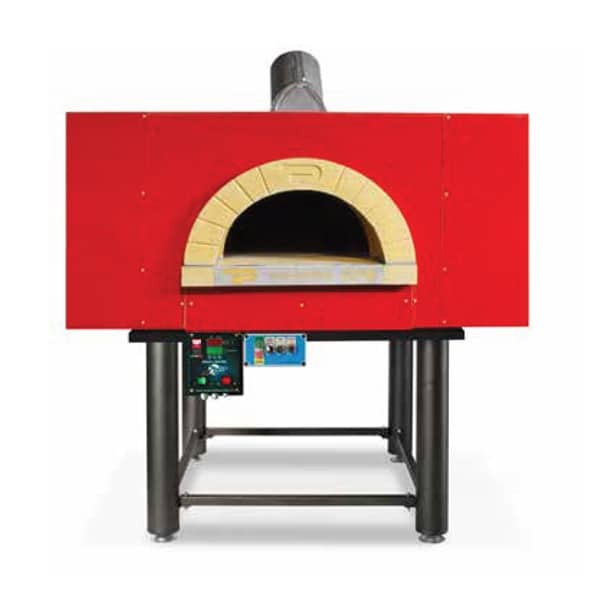 The mechanical and electrical components of the rotating ovens and the gas burner Avanzini installed in our ovens are covered by a two year warranty. 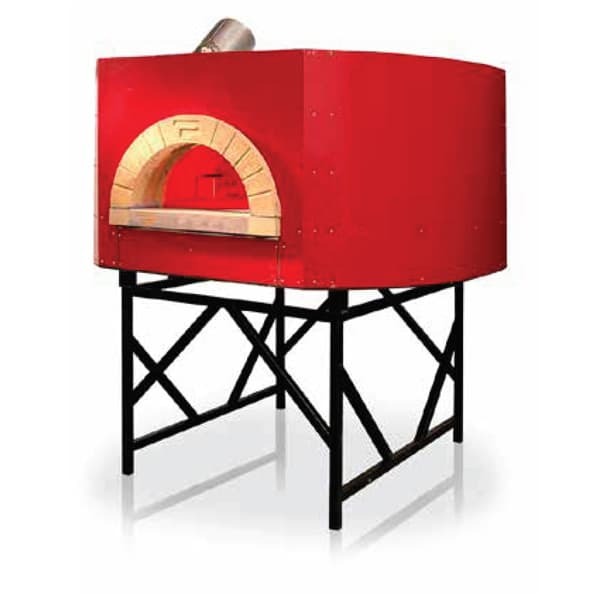 Rotating wood and wood + gas fired ovens are equipped with an ash drawer and a fireside cast iron grate. 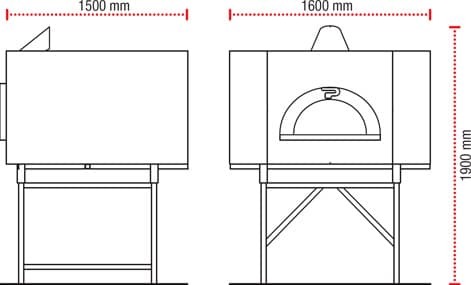 Traditional Pavesi ovens, being traditional, have not an ash discharge unit. 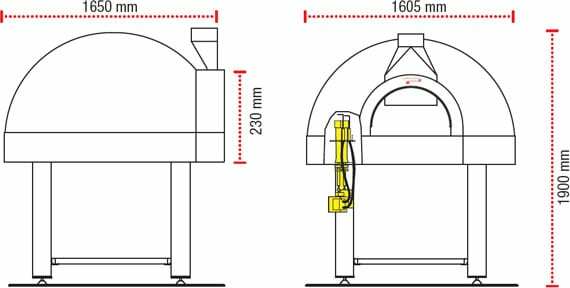 The cook top of Pavesi Ovens is made in a single refractory block with a thickness of 7 cm and an average weight of 250 Kg. 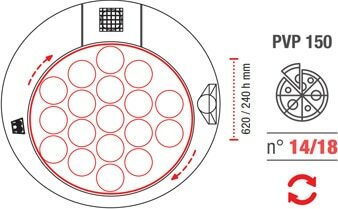 The mono‐block cook top, being without joints, used with care and according to our instructions, remains smooth and homogeneous for the entire duration of the life of the oven. 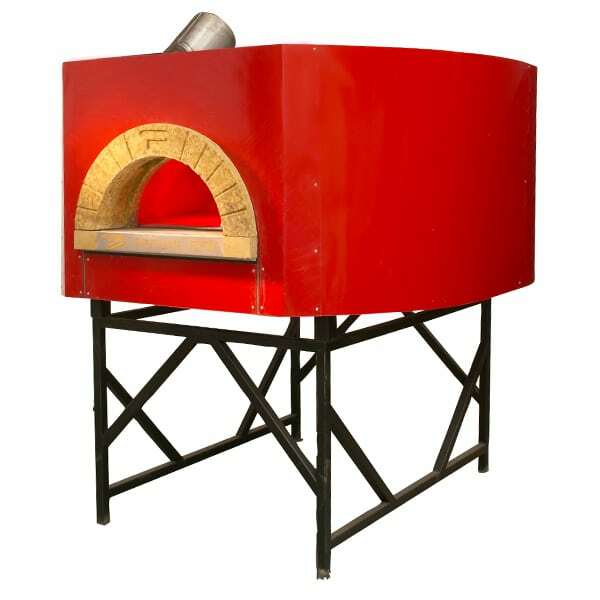 The refractory material produced by Pavesi Srl are used in those parts of the oven that are subject to both the direct heat of the flames and the thermal radiation of the hot gases; by their very nature, above all when the oven is heated for the first time, the refractory materials may develop fine cracks in the surface most exposed to the heat; these fine cracks (no more than two or three millimetres) aim to absorb the expansion of the concrete and compensate any variations in volume, caused by the increase or decrease in temperature. 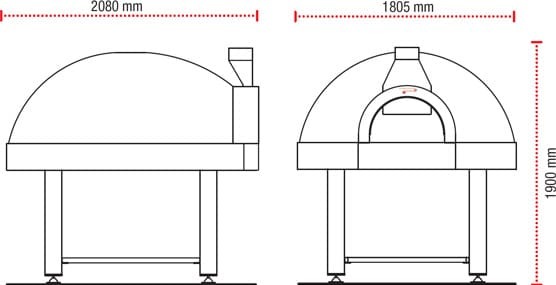 These fine cracks in the dome and/or monoblock base of the oven are a natural consequence of the jump in temperature (300°/15’) due to the heating and cooling cycles of all Pavesi traditional ovens and do not affect the performance or duration of the oven in any way. 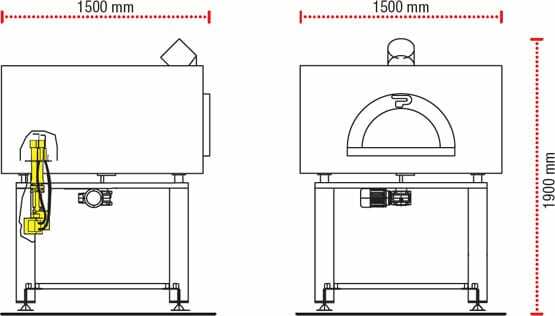 Thanks to the 15 cm thickness of high performance insulating material on which the baking surface rests, our average sized ovens (140 or 140x160) can cook around 250/300 30/32 cm diameter pizzas consecutively. 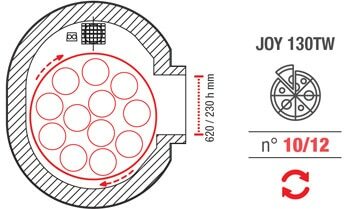 They have an extremely high thermal insulation potential. 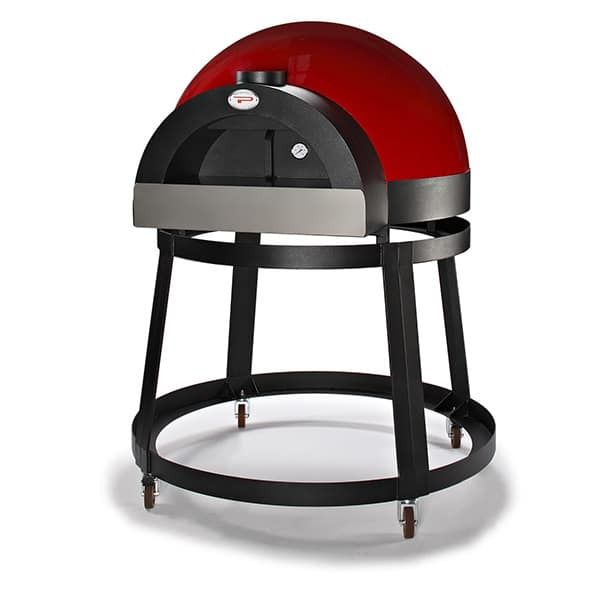 A Pavesi Oven that operates until around midnight, the next morning at10 o’clock is still at a temperature of around 250°C. 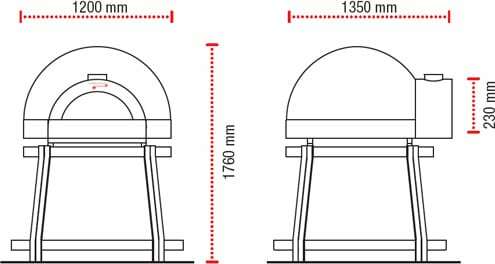 On the outer casing on the fire side the temperature measured is very low, approximately 35°C. 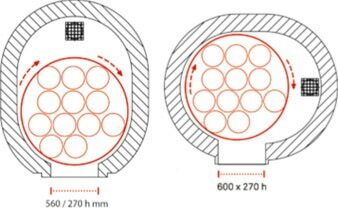 This is possible thanks to the technology used in the ceramic industry, they can reach working temperatures as high as 1.400 °C and have a capacity for Thermal Reduction equal to 600 °C for every 10 cm. 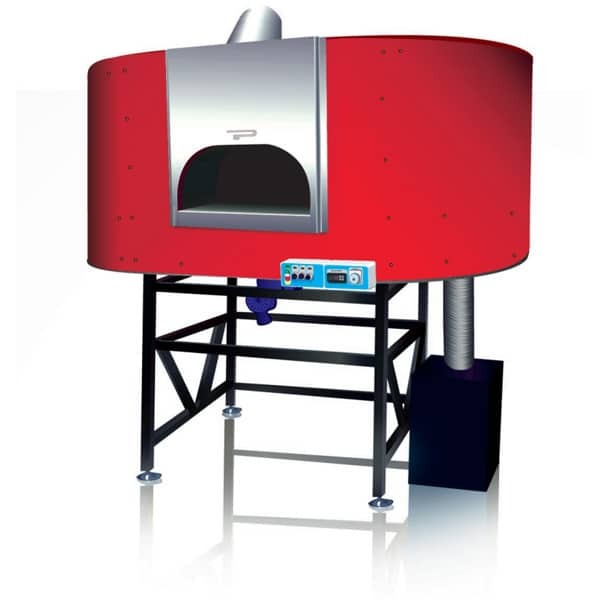 These features mean that our Ovens have a very high and constant yield for their entire working life. 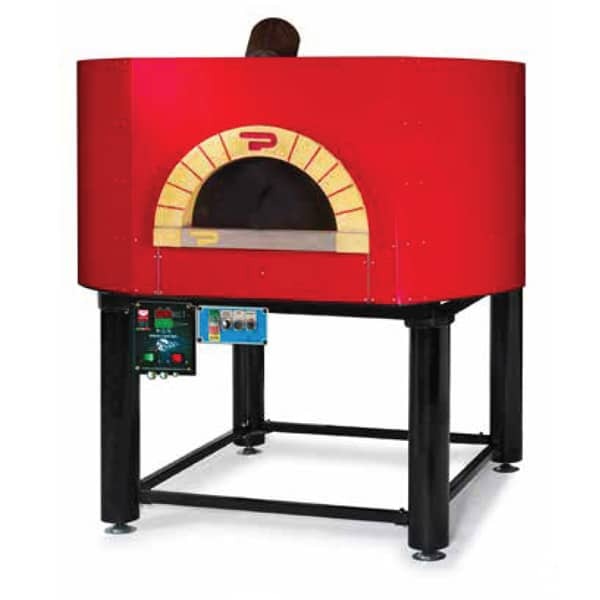 Pavesi Ovens perfect insulation together with their reliable refractory core keep the optimum working temperature inside the cooking chamber, with consequent significant energy savings. 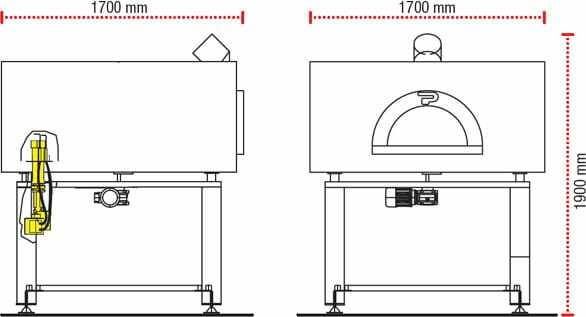 The Pavesi Ovens high performing insulation also keeps the entire baking surface at a uniform temperature, without the need of additional heating equipment, which are undoubtedly more costly and not equally efficient. 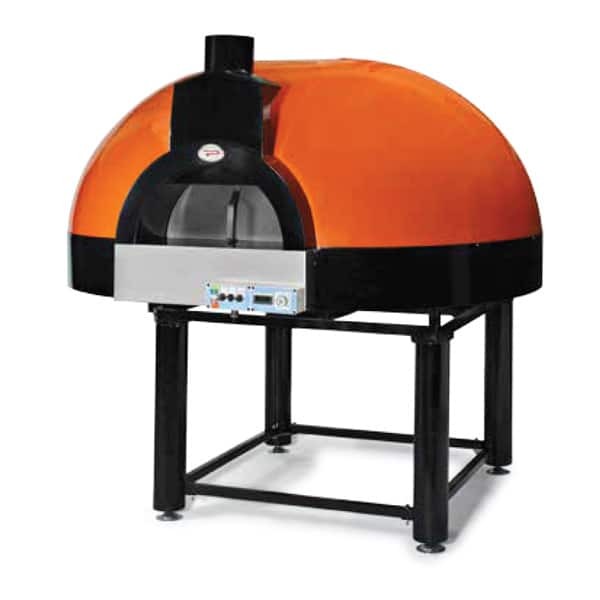 Pavesi Ovens have a very high heat accumulation capacity and are able to retain this heat inside the structure for many hours. 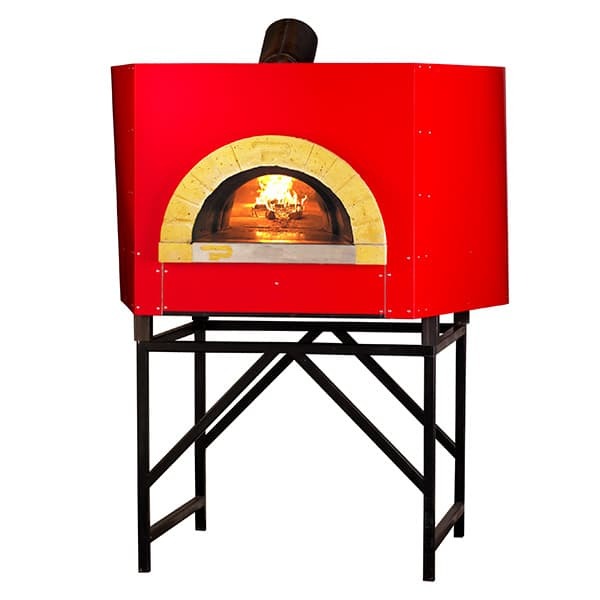 If you cook pizza at midday and in the evening, you will need around 8/10 minutes; if the oven is used only in the evenings, then it takes from 30 to 60 minutes. 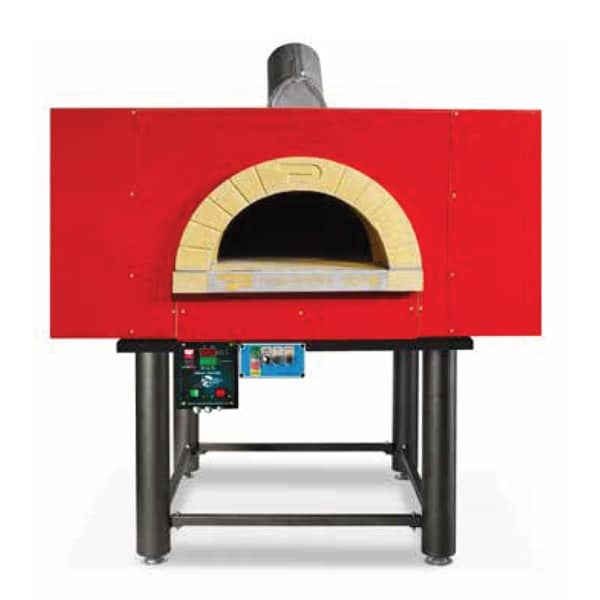 Times may vary depending on the kind of fuel used (wood or gas), the size of the oven itself, and the preferred cooking temperature. 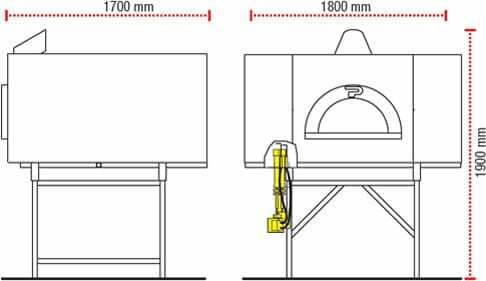 You can buy a Ready‐to‐use Oven or a Disassembled Oven which we can build in your premises (this solution allows to build the oven even in case of narrow passages or standard, 80–90 cm wide doors). 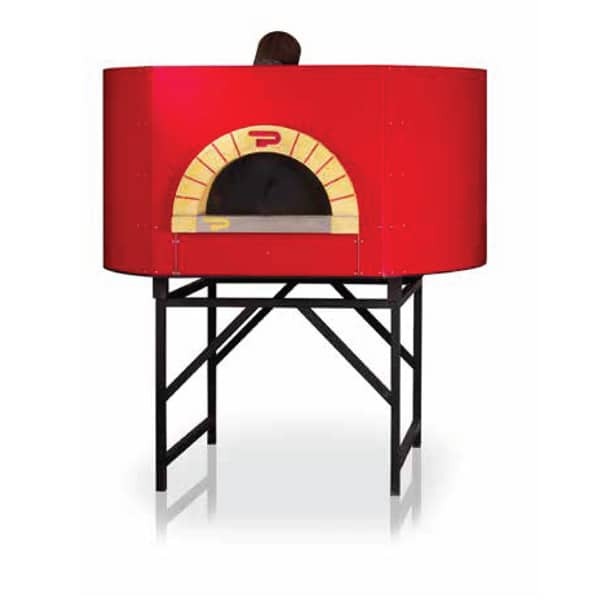 However, in some situations it is either impracticable or inconvenient to use a wood‐fired oven (legislation, larger sized oven, sourcing and storing the wood, etc.). 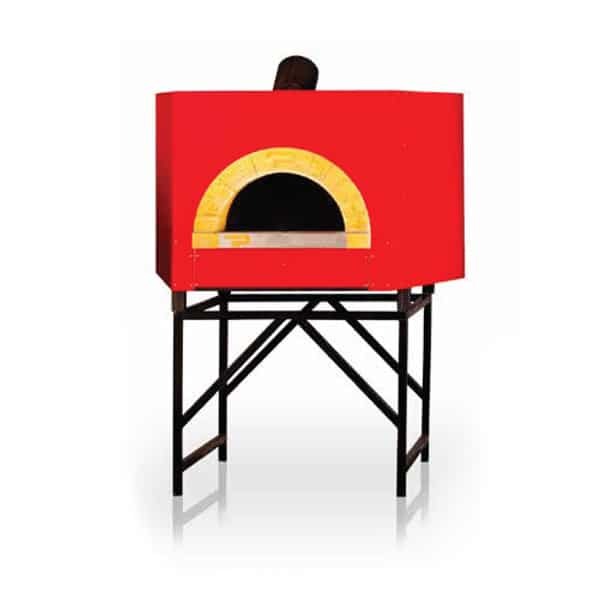 In these cases the gas‐fired oven is recommended, as it guarantees simple use (electronic temperature control), greater hygiene (no soot), reduced consumption (in some cases gas is cheaper than wood). 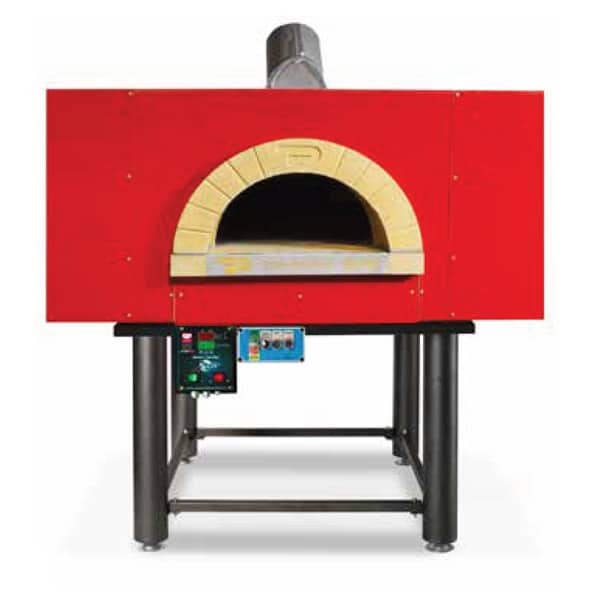 So there is no definitive answer to this question, it all depends on the place the oven is used and the preference of the pizza chef. 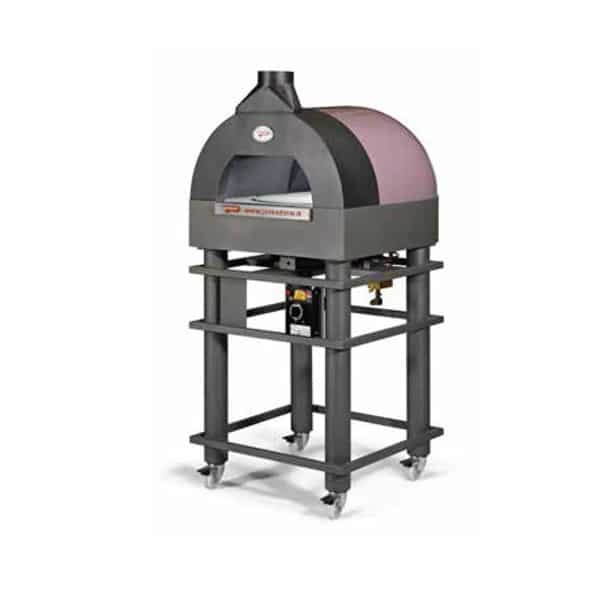 All traditional Pavesi gas ovens are produced with a special inox protection that protects the nozzles of the burner from the soot of wood, so they can work with wood and with gas. 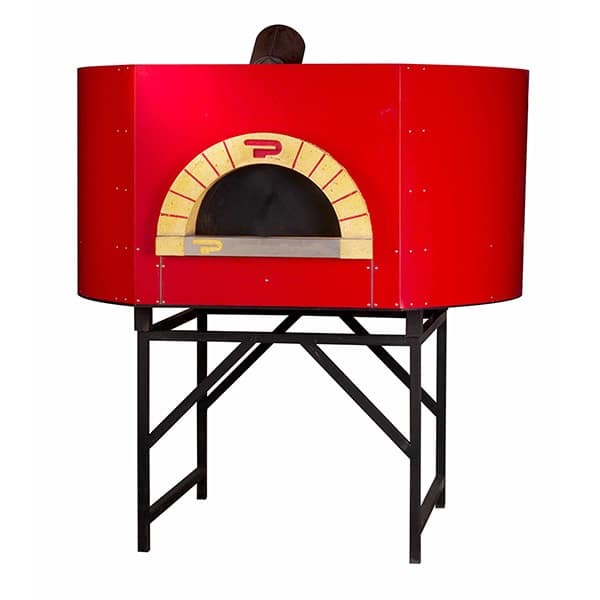 The revolving wood/gas oven have the gas burner with stainless steel protection and can work with wood and with gas. 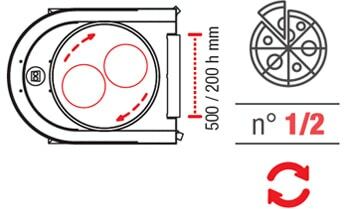 Consumption: During the first hour, or until the internal temperature reaches the 350° C, you can use approximately 8000/10000 Kcal/hour; later, during the normal working of the oven, it will decrease to 4000/6000 Kcal/hour. 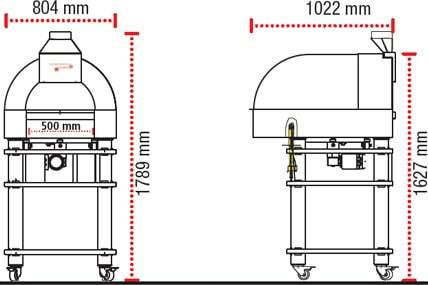 Considering the Gas Burner Drago Mini Avanzini, which is certified for 29.200 Kcal = 34 Kw, you can consider an average consumption of 1 m³/h for natural gas and 4 l/h for LPG. 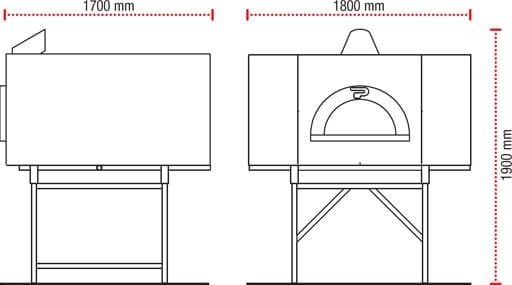 Traditional Pavesi oven models can be used outdoors but must be carefully protected from atmospheric agents. 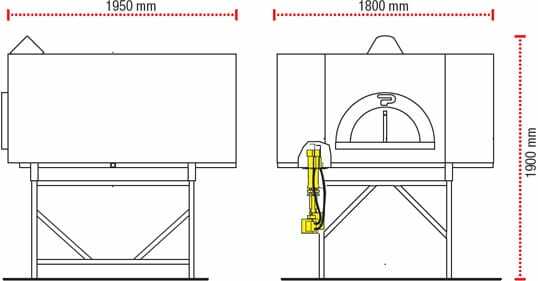 Because of the electronic components, we do not recommend the outdoor positioning of any Pavesi rotating oven. Preassembled oven are delivered already built, ready to use, complete with support stand, insulation, gas burner (only for gas ovens) and red washable cover panels (cover in fiberglass for the Joy version). 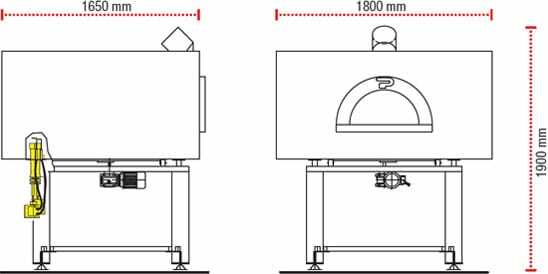 For this oven version please verify that the room has a minimum 160/180 cm wide door (depending on the oven model) in order to place the preassembled oven in its final location. 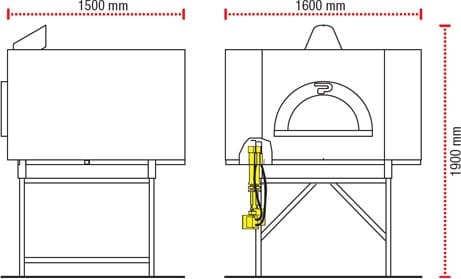 The new Pavesi Ovens contain an amount of water which makes up approximately 10% of the refractory material (from 70 to 120 litres, depending on the model). 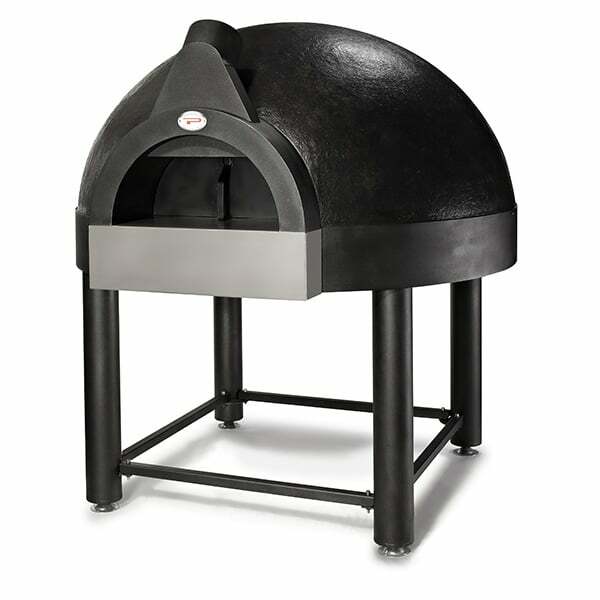 During the First Firing Up process, this water must be allowed to escape slowly from the product and evaporate, to prevent the formation of large cracks and unusual dilation which could affect the oven performance and durability. 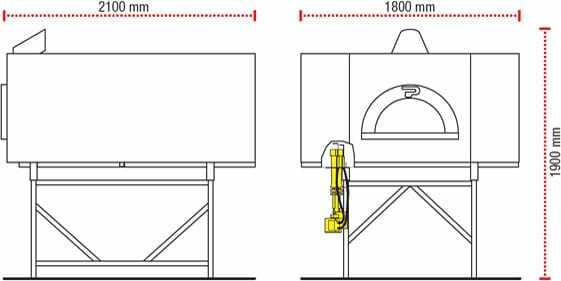 You will find the instructions for the First Firing Up procedure in the Use and Maintenance Manual delivered with the oven. 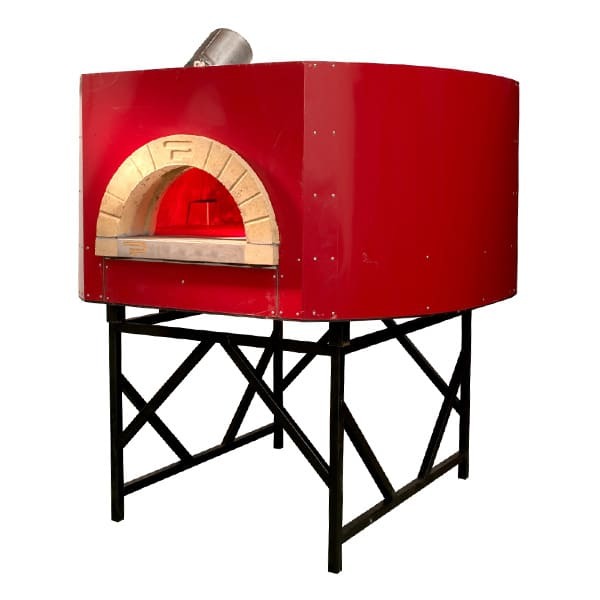 Approximately 10–12 hours after the First Firing Up procedure began, you will be able to start with the first cooking tests. 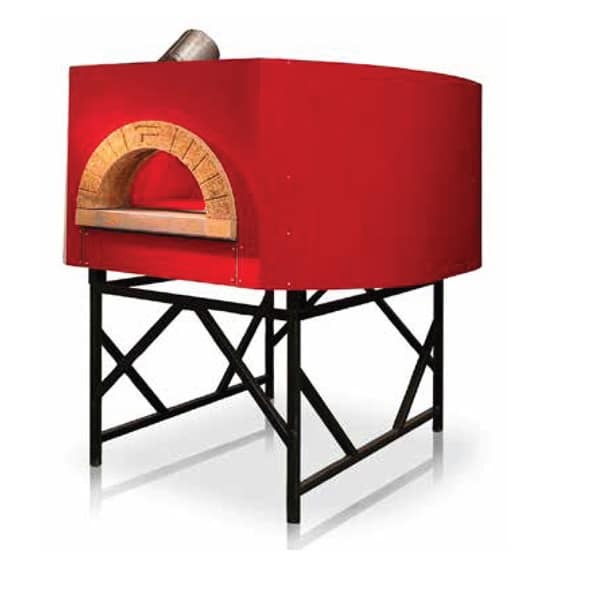 The Vera Pizza Napoletana manual recommends the use of a wood‐fired oven, and this is what tradition demands. and let us advise you on youR final choice!